Nineties diva-meets-2000s R&B queen for 2k14. Hanging out with my middle school BFF usually consisted of lounging on her living room couch, flipping through channels to settle on MTV Hits, munching on popcorn, dancing and gossiping. Liz takes me right back to that couch, though now I’d sub out the popcorn for red wine. Her Just Like You EP hits that early 2000s Top 40 sweet spot when video rotations would feature cool R&B chicks Ciara and Ashanti followed by ‘90s divas Mariah and Britney. 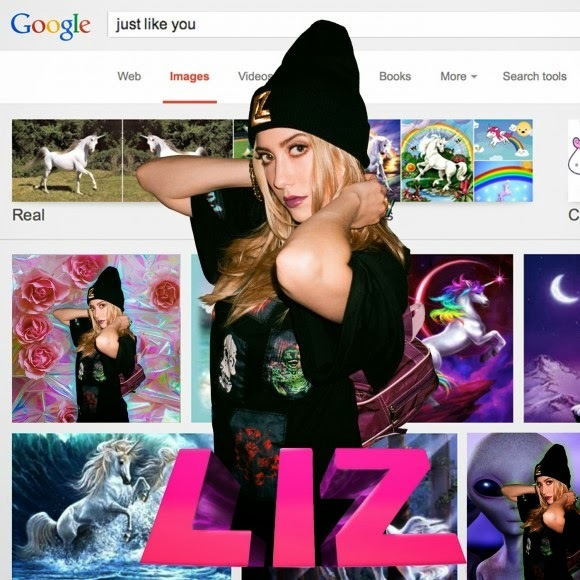 But Liz won’t stand to be just a throwback – the Mad Decent production keeps her EP very 2014 (not that it’s unusual for pop to tap into nostalgia, thanks to Pharrell, Ariana Grande and even the Marvin Gaye-swiping, 12-weeks-at-No. 1, repulsive Robin Thicke). The opening track “Y2K” is the perfect intro, not only for the drippy Lido production, but for its nod to late goddess Aaliyah and the new millennium. “All Them Boys” owes more to UK house than the rest of the EP. Its 4/4 backbone makes it prime dance floor material, and the snapping breakdown (snaps are a welcome presence throughout Just Like You) lets you slow-groove like Ciara. Tyga shows up on “Don’t Say” to work out relationship problems and priorities, though his best contribution is the close of his first verse with “let a angel sing” and Liz steps in, not missing a beat. If Beyoncé’s self-titled album isn’t filling the void Destiny’s Child left in your heart, “Do I Like U” has a “Say My Name” bite, complete with a chest-punching bass breakdown because this is a Mad Decent release after all. Despite all of the comparisons to classic divas, Liz is not a mix and match “best of.” She’s continuing the diva legacy, and her Diplo-led label will help her break the typically macho territory of popular electronic music. Now that JoJo (another queen of the early 2000s whose style isn’t frozen in time) is free from her suffocating major label contract, I hope we’ll be blessed soon with a Liz/JoJo collab *prayer hands emoji*. Listen to Liz on Soundcloud here.